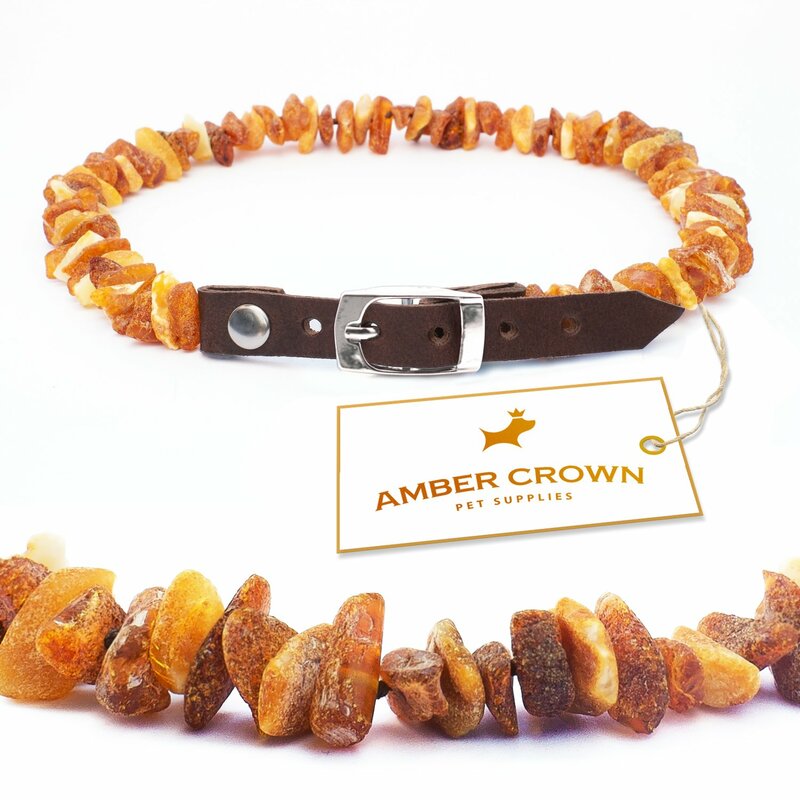 I had been hearing a lot about the amber teething necklaces for babies, and while searching for one for my niece I stumbled across this Amber Flea and Tick Collar with Adjustable Leather Strap for Dogs and Cats and decided to purchase one. I wasn't sure if I would be able to keep it on my dog because she is really hard on collars and often chews or scratches them off. I distracted her with some new treats though and she really didn't even notice when I put them on her. She has been wearing it without any problems. I can't say for sure whether or not it is effective against fleas since she hasn't been around any of them lately, so the true test of effectiveness will come this spring. In the mean time I will recommend it since it is easy to use and all natural, but I can't vouch for the effectiveness.